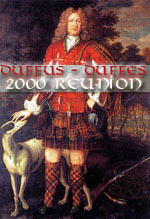 John Duffus, merchant of Banff, Banffshire, Scotland, marries Margaret Bisset 7 July 1737. They had twin sons, Alexander b. 30 May 1741 and John b. 30 May 1741. Alexander Duffus b. 30 May 1741 emigrated to the West Indies and became a merchant, slave owner and planter. He marries Frances Smith and they have a number of children, including Thomas, who has son John Duffus b. 1804 in Kingston, Jamaica who becomes a minister in the Anglican Church. Click here for entire chart! Download time of 277 seconds. Click here for excellent article! 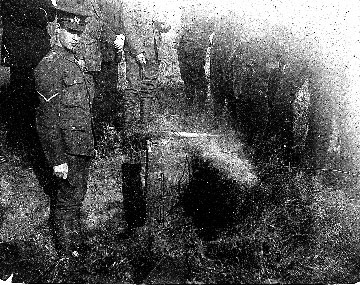 I have a family tree written in the late 1800's that shows a Col John Sutherland of Ballinasole, Galway,Ireland.The adjutant of his majesties Galway Regiment also known as the 11th Regiment.He was the younger son of Lord duffis and married Christain Joyce ,Daughter of Oliver Joyce a member of the tribes of Galway,when his first wife died he married LadyVeasy Daly, daughter of Lord Daly who was the brother of Lord Viscound Dunsandle.The record shows also a relative of his an William Sutherland [Officer] serving with Lord Townsed who left a will dated 1770.The records show John Sutherland, born 1771 and died 1847 in Galway,Ireland.This Col John Sutherland is my ancestor and if you would have any information on Lord Duffis I would be greatful. is any other information about the good lady which you might have. Would this for example be the Josephine who died on 11th October 1840? Don't worry about taking over! I'm always trying to find info every month to generate my Duffus cyber newspaper. Fortunately, you've helped me out lately, since I haven't been getting much from anyone else. Except Harry - who's been a reliable contributor for years now. Your weavers picture didn't come through. My imaging program can't accept a .qxd extension. Could you please send again in a JPEG format. I enjoyed seeing you marching with the Trades flag. We're proud to have a Duffus as the official archivist of the Trades. Could you please resize to larger proportions. They opened up at about two inches by 1 1/2 inches. Try sending the JPEG's again as 3 x 5 at 100 dpi instead of 72.
will forward the plan, by snail mail and have circled your family stone. P.S. I will have your photos on the web site with this month's news. I also need to communicate with your friend in Perth about the scans. Lately, I'm still behind, now with obligations to fellow travel mates creating a video of the Tibet trip. Look forward to buying your drinks in January and I hope you can down all of them in one evening. Notice that there is no mention of either Thomas himself or Grace. One possible explanation is that when he died, followed by Grace,(or vice versa). there was no one left in the family to arrange an inscription. I have seen the entry in the register confirming the actual burial of Grace in the grave, so there is no doubt that her remains are there. I have also spoken with another friend of mine, a funeral director, and confirmed that there is no reason to prevent you having her details put on the gravestone even at this late stage and despite the graveyard being listed. He is following up on that, to be absolutely certain, but it should give you something to think about. For example she could be referred to as Grace Duffus, daughter of Thomas McEwan. The stone does not have enough space left to be engraved in the same form as the original, but that should not matter too much. If I do see you in January I will be happy to show you the grave and make any arrangements for you depending on what you decide Photographs will follow as sonn as time and conditions allow. The Nine Incorporated Trades of Dundee date back to before the 1400's. Sadly most of their records were destroyed when General Monck sacked the city and captured St Mary's tower where two regiments of Lord Duffus's were slaughtered. The history of the Hammerman Incorporation and the Weaver Craft are already with you. In 1772 Dundee had grown so quickly that another church was needed for the citizens. The Town Council was approached for funds but it refused any contribution. The Nine Incorporated Trades took responsibility for building the church and in 1774 St Andrew's Church was formally opened. The Trades marched in procession from their traditional meeting place in the Howff to the opening of the church. Today St Andrew's Church is the only Trade Kirk in Scotland and an annual Kirkin of the Trades Ceremony is held there each year at which the new Deacons, Boxmasters and Clerks re-dedicate their crafts to the Church. In 1974 a similar ceremony took place to commemorate 200 years from the opening of the church and it was repeated for the 225th Anniversary earlier this year. The enclosed are two photographs showing part of the procession. Needless there is no show without Punch and so I am the one on the left, carrying the Trades Flag, as you look at the pictures . Howff 1. shows the Trades at the gravestone in the ancient burial ground which was their traditional meeting place until they built their own hall. As you know, along with being the official Archivist to the Trades I am a member of the Hammerman and Bonnetmaker Crafts and Harry is a Weaver. There is a web site dedicated to St Andrew's Church at www.sol.co.uk/c/chimiak for anyone interested. They have been in touch with me and I will be writing complete copy for the Nine Trades section.. Thank you for replying to my message through son James. For reasons only known to the mind of God his copy of your message and Tibetan pix got through using the same address as best I can see. Perhaps westnews@home.com.ca would be better, but he did not have to use the ca idenfifier. Perhaps the origin at Microsoft frightened the system intoc ompliance and a show of respect. As to the clan gathering, I'm not very optimistic. In addition to reactions to my prostate cancer shots I came down with type 2 diabetes and rheumatoid arthritis this spring. They are both under good control with medication, but I've no idea about the likelihood of flareups...hopefully zero, but a few more winter months may tell. Hope Megan is having a fabulous time spending your resources while studying communications. Senior son, Rob, spent a long time in photography, radio and tv, and is now happily ensconced in the public service doing crisis management and speech writing with a group of ex-radio/tv people who are uniformly delighted to be out of the media rat race. But its probably good fun while the adrenalin lasts! First, many thanks for the CD- I did wonder what Granny & Grandad would have thought about their faces being out there so to speak. Anyway, heres some more stuff for you- the magazines are just for a frinstance in case youve not come across it before- other copies may have stuff which is relevant to your work with the web page. One wee point- I notice one mistake so there may be others. Its in the April copy p42- the locomotive referred never had a name- at least not an official one! The Great North of Scotland presumably refers to the original name of the railway its running on. I dont know enough railway history to be sure. I suppose thats one of the chores of historical research- getting the facts right (or at least as right as possible) & keeping them that way. The article on the excavations at the castle- I think Ive already quoted the reference but heres a paper copy. The mate that passed this on to me at one time was involved with the maintenance of the drainage scheme which Telford originally designed. The original I think was all done with sluice gates but it is now electrically pumped. It was the same chap that gave me a copy of the map of the area surrounding the castle- the one which so far has remained unfound- where the devil it has gone I would dearly like to know. He was also one of the engineers involved with shoring up & restoring the walls to the vertical. The book Ive mentioned before but here at long last is a copy for you- if youve already acquired a copy please feel free to pass this on to whoever if you wish. I see its been reprinted 4 times since its relatively recent publishing so it has presumably been reasonably popular- however I found this copy in a remainder bookshop which would suggest that all of the last print run did not sell & it may be that it will not be reprinted for some time. The maps- well, what can you say- I can sit & look at maps for ages & not get tired of it. The Nairn & Elgin copy(how odd- the spellchecker not only tells me that Nairn is wrong but also spellchecker but it says Elgin is OK) is about the best I could find but I was told that there is not too much of this area before the days of the Ordnance Survey. On this map youll also see the Spey valley & if you know anything at all about Scots whisky theres a whole rake of names youll recognize. I noticed a bottle in an off licence the other day- something like a 25 year old Balvenie for a mere 50 quid! A bargain- Ill take a dozen- I dont think!. The saying goes that just as Rome was built on seven hills Speyside was built on seven stills. The other three maps are all a bit further East & of roughly the same area- this is I think the area where most of the local Duffuses are to be found these days. The song you placed out on the net- Drumdelgie- the farm of Drumdelgie is to be found on at least one of the three mentioned above. Another name I noticed is Tarwathie- this farm is mentioned in a 19th century whaling song. Which suggests a question for those who are prepared to go digging in the records- there may be Duffuses mentioned in such records as remain of the East Coast Scottish whaling companies. Right, being Saturday night I am off to the pub- gnight. Hmm, shouldve checked- the whaling fleet is mentioned in the enclosed book. Was down Princes St. this afternoon & spotted a book on the meanings of Scottish surnames- our lot dont merit a mention! Sorry, I didnt make a note of the author or publisher. Ill just mention that the Romans got this far North- if you look at the map marked (on the back) John Thomson, Aberdeen & Banff youll see what is indicated as a suspected Roman road. Bottom edge just left of centre. Whether or not it is the real thing or not I couldnt say. Some days later- just been doing some digging- theres the site of an identified Roman camp about 2 miles (Imperial miles!) East of Ythanwells which is itself about 8 miles east of Huntly- & about due south of Glen Dronach- another whisky name. So there may very well be a Roman road thereabouts- but I think not necessarily. Indeed some years ago I knew a man who was a bit of a hot shot on the subject & he wouldve known for certain- however he was my then girlfriends father & since that lot went west I dont feel it would be appropriate to ask. Well, thats about it- I trust at least some of this lot is of interest & as before keep the lot. I am as it were on site & it is likely easier for me just to take a wander down to the library. On second thoughts- all this internet stuff makes you wonder. No, first thoughts better- Ill stick with the library. OK, thats it for now. As youll see Ive put the text on a floppy (how bang up to date of me!) so you dont need to type it all in & of course it makes it a lot easier to edit. Deary me! Just tried to print this out & the thing goes haywire- I havent a dinky-doo what the thing is playing at- I trust you have more luck! P.S. In my last I mentioned the weather- well, the summer turned out not too bad after all. Hardly brilliant but then this is Scotland!